Accurate - Based on Andrew Gerrad's Accuracy, it's different but impromptu. 3 objects are hidden one in each hand and one in a card box. And the performer deduces the location of each of those objects. This That What? 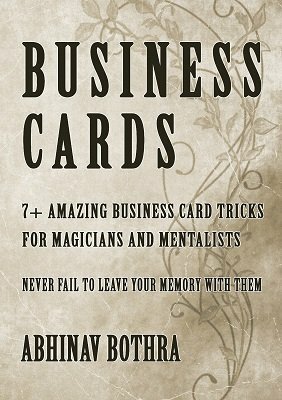 - A different take on the classic This and That card trick, but with business cards.